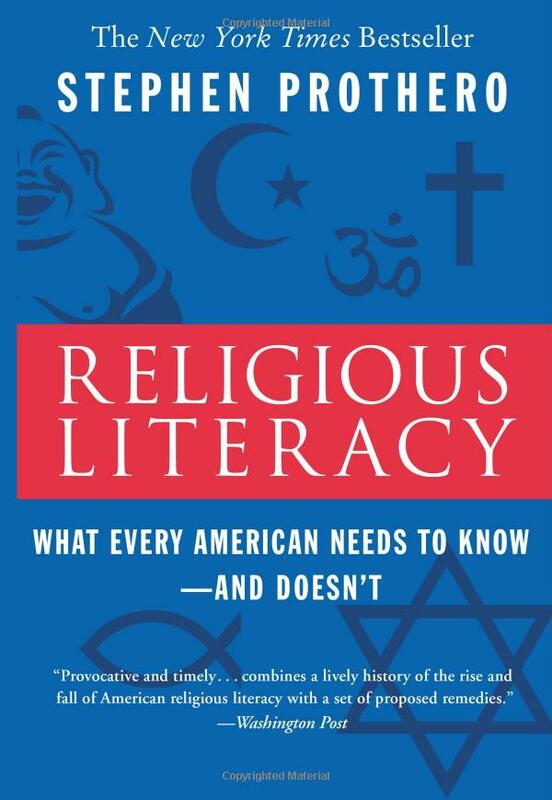 While this blog is primarily devoted to children’s books, I am currently listening to the audio edition of Stephen Prothero’s brilliant work, Religious Literacy: What Every American Needs to Know–and Doesn’t. I have been so taken by this book that I had to digress briefly to encourage you to get your hands on a copy of this and read it! I happen to have had the pleasure of knowing Stephen and his wife when we were living in Sandwich, Massachusetts, where they also lived. Our daughters attended the same preschool and we met at several social occasions related to that. What I didn’t know at the time was that Stephen was becoming one of the preeminent scholars of religion in America while I was busy home schooling and running children hither and thither! The first time we met Stephen (at a sushi party in our home!) 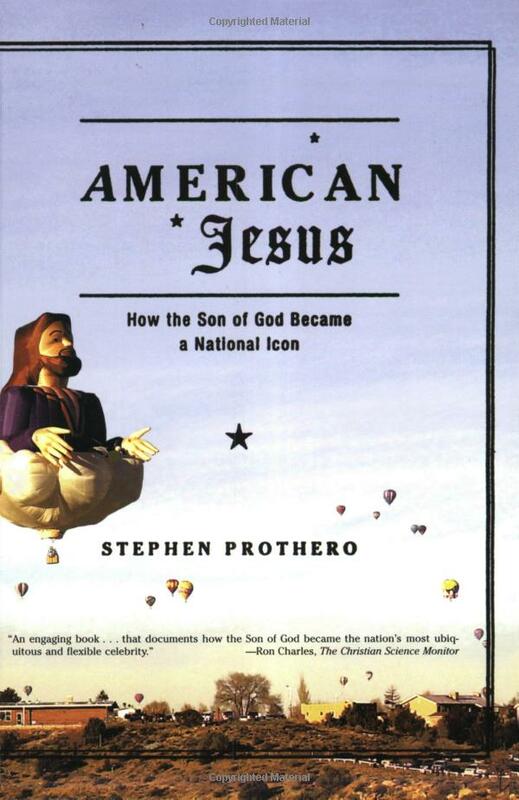 he had just finished American Jesus: How the Son of God Became a National Icon. I of course, made a mental note to get his latest book and read it, but in the hectic silliness of life, my mental note disappeared in the vacuous recesses of my brain! Now that we’ve relocated to California, I’m kicking myself tha t I didn’t take advantage of the wonderful opportunity to learn from such a keen mind. I think you’ll be struck by Stephen’s astute analysis of religion in America in the title (at right), as well as how many of our prejudices regarding faith, the Bible, liberal and conservative politics, and education, are the well worn tracks of a culture that, while it ascribes to a Judeo-Christian ethic, has lost many of the moorings that have traditionally bound us to transcendent truth. Stephen’s surveys of current religious and biblical knowledge will take your breath away, or if they don’t, may perhaps stun you into action and a reevaluation of what you believe and why. I hope you’ll take this challenge and read this title and then get some comments going so we can all learn together and perhaps revisit truths and creeds that we’ve long taken for granted. I’m really looking forward to hearing what you think, and I’ll continue to post musings as I finish this wonderful work! Oooh – I want to read these! I’ll have to pick up a copy soon.